As an experienced attorney, licensed in both Florida and Washington, D.C., Carl strives to protect his clients through negotiation and litigation. He finds it pivotal to forge meaningful relationships with clients, colleagues, and opposing parties to ensure his clients’ best interests are fought for. He currently focuses on first party defense and personal injury protection cases. Prior to joining Kubicki Draper, Carl focused on consumer protection litigation as a sole practitioner and as an associate attorney for a large firm. He thrives under the pressure of a large case load and complex client needs. Carl completed his Juris Doctorate at Barry University School of Law and his Bachelor of Arts degree in Political Science from Arkansas State University, where he was a scholarship rugby player. During his tenure as a law student, Carl held several leadership roles, including Student Bar Association senator, Black Law Student Association president, and state certified mediator in the Ninth Judicial Circuit. Driven by a passion to protect voting rights, Carl utilized skills developed as a graduate of the Central Florida Political Leadership Institute (Class of 2016) to earn his most rewarding achievement — setting up permanent voting registration drives throughout his community. A native of Houston, but an Orlando resident for the past 10 years, he enjoys wooing his wife, spending time with his toddler, and jogging with his Belgian Malinois, Apollo. 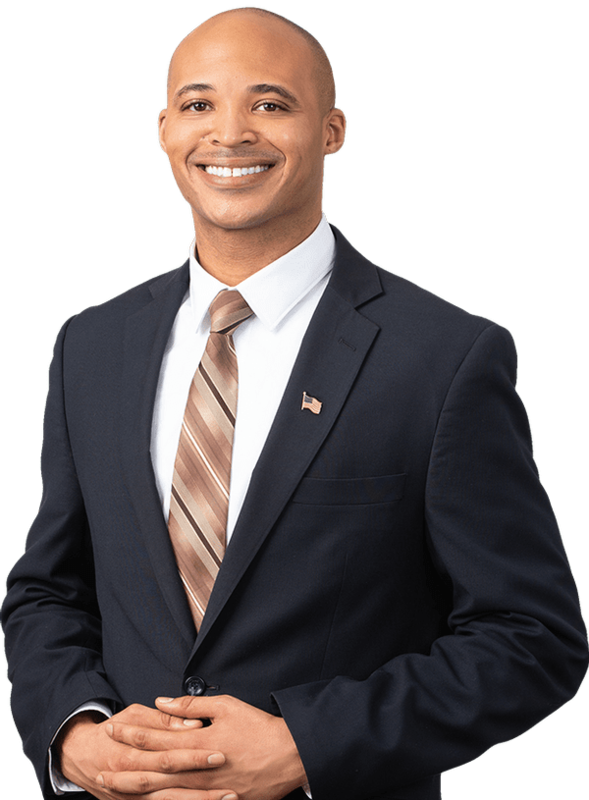 Carl currently serves on the Orange County Bar Association’s Ethics Committee and has joined the National African American Insurance Association (NAAIA) to better serve his clients.